Chris Boggs, the Chairman of Search Engine Marketing Professionals Organization (SEMPO, INC), and former Director of Search & Media Thought Leadership Team at Rosetta, has joined Internet Marketing Ninjas as the company’s Chief Marketing Officer. 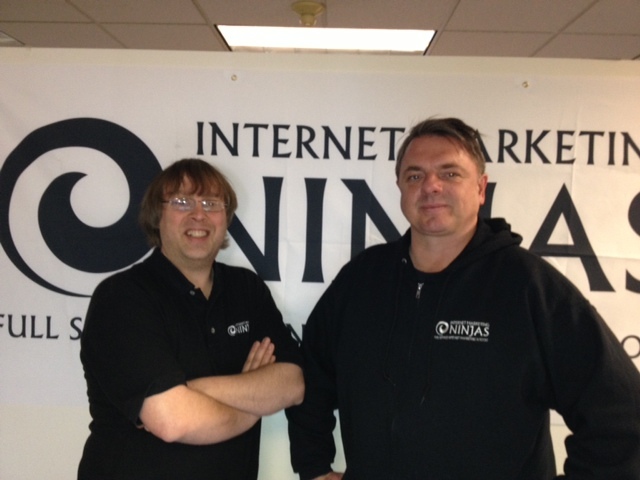 Clifton Park, New York – Internet Marketing Ninjas, Inc. (IMN), a leading online marketing company, named Chris Boggs as the company’s Chief Marketing Officer. Boggs will be working closely with the leadership team to help further define and grow operations and long-term client deliverable. The executive hire comes as the company continues its rapid expansion in talent and through several acquisitions over the past 12 months. In 2012, Internet Marketing Ninjas, led by CEO Jim Boykin, acquired the Developer Shed network of websites from Ziff Davis, the Cre8asiteForums, WebmasterWorld, and Threadwatch. Other members of the company’s executive staff include Kris Jones as Chairman, Ann Smarty as Community Manager, Kim Krause Berg as Usability/Conversion Analyst, and Joe Hall as Senior Marketing Analyst. Boggs joins IMN from Rosetta, where he was the Director of the Search & Media Thought Leadership Team. Boggs is also the current Chair of the Board of Directors for the Search Engine Marketing Professionals Organization (SEMPO, Inc.), where he also served as President from 2010-2012. Internet Marketing Ninjas (IMN) is a results-driven internet marketing company committed to the improvement of website traffic, conversions, and brand marketing. Located in Clifton Park, New York and established in 1999 by Founder and CEO Jim Boykin, IMN was originally branded under We Build Pages. As one of the fastest growing and influential full-service Internet marketing companies, IMN employs 100+ in-house trained marketing ninjas that specialize in: SEO analysis, link-building, content development, conversion optimization, reputation management, and social media marketing. Super excited to have Chris join IMN! Thanks Barry! Can’t wait to come up to the city for lunch with you! Great New. I am sure Chris will take all Ninjas top of the hills of search engine marketing. Wow! – Congratulations to both Chris & Jim! Wow, great hire for IMN (almost wrote WBP) and congrats to Chris on joining the amazing team that Jim has built. All the best to you guys. Best of luck to Chris Boggs and the ninja crew!